As the hours tick down to Thursday's meeting of the California Horse Racing Board – the first since Santa Anita was forced to cancel racing indefinitely following a rash of fatal breakdowns – everyone is wondering how The Stronach Group will propose to move forward with the reforms announced by Belinda Stronach March 14. A copy of the draft guidelines obtained by the Paulick Report shows a few additional details on those reforms, which seek to reduce therapeutic drugs and phase out furosemide (Lasix). The guidelines suggest intra-articular corticosteroids will be prohibited within 14 days of racing (rather than seven). Nonsteroidal anti-inflammatories (NSAIDs) will now be pushed back to 48 to 54 hours prior to race time, and there will be no allowable levels for more than one NSAID in a horse. Horses will be subject to post-workout blood tests, during which the same corticosteroid and NSAID restrictions will apply. 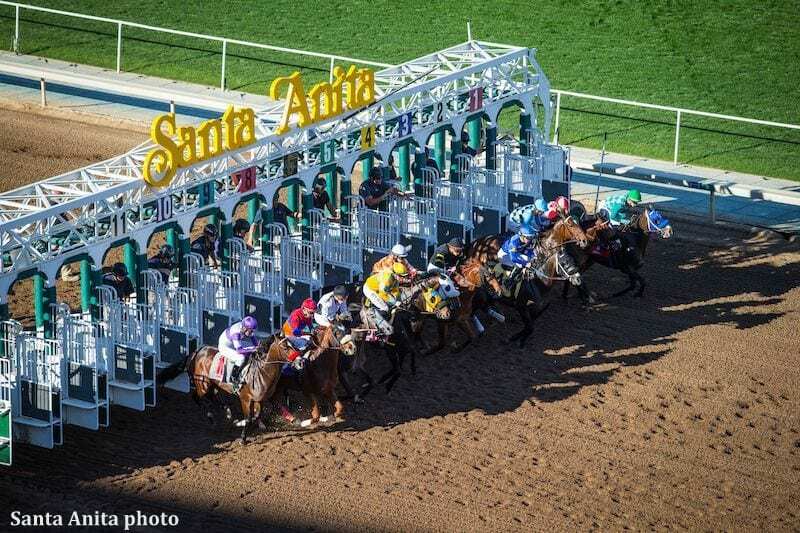 The new rules would be enforced at both Santa Anita and Golden Gate Fields. The Stronach Group will have to confront a number of questions about how this testing will occur and what penalties it can assign to trainers and owners who don't comply. In the meantime, one question many readers have asked since the March 14 announcement by Belinda Stronach is why these new rules are only going into effect at the Stronach Group's California tracks. In the case of Laurel Park and Pimlico, at least one horsemen's representative said he doesn't think the rules could be implemented without breaking a multi-state compact. The Thoroughbred Horsemen's Association (THA) spearheaded the Mid-Atlantic Uniform Medication and Drug Testing Program, the precursor to the National Uniform Medication Program, in 2013. States adhering to the program at its outset included New York, New Jersey, Pennsylvania, Delaware, Maryland, Virginia, West Virginia, and Massachusetts. THA chairman/CEO Alan Foreman said these days several THA member states adopt medication reform by reference to the Racing Commissioners International or Racing Medication and Testing Consortium code – meaning the state commissions' rules redirect to RCI/RMTC documents which are edited to keep up with new research and testing. This negated the need for states to run each new threshold or withdrawal through various levels of state government, which would inevitably result in some states lagging behind others. The flip side of that is there's currently no mechanism for Maryland's commission to break away from RCI/RMTC guidelines, so it's those organizations that would have to be convinced to pick up The Stronach Group's changes, not the commission. In actual practice, Foreman doesn't see a lot of major differences between the proposed Stronach rules and Maryland's post-race rules anyway, outside of Lasix. Maryland currently has a seven-day withdrawal for corticosteroids, except for methylprednisolone, which it has advised horsemen discontinue altogether. NSAID stacking is already prohibited there, though the last legal NSAID administration is roughly 24 to 32 hours pre-race. Even if the current rule format permitted it, Foreman is hesitant to urge THA members to change regulations. For one thing, Mid-Atlantic states have different fatality numbers than California: in 2018, New York had its lowest fatality rate ever at 1.29 per 1,000 starts – significantly below the national average. The rest of the Mid-Atlantic region was on par with the national average. As far as medication, the region saw over 40,000 post-race and out-of-competition samples tested last year – there were just three stacking violations, according to Foreman. Foreman also isn't sure whether any reviews have taken place to connect these reforms to the recent rash of breakdowns at Santa Anita. “We learned a tremendous amount when New York had virtually an identical situation. We identified what we thought were other known problems, other potential problems and we began addressing them,” said Foreman, who pointed out those problems weren't limited to medication but included management, track surface, and racing structure issues as well. This entry was posted in NL Article, Ray's Paddock and tagged alan foreman, Aqueduct fatalities, belinda stronach, california racing, drugs in horse racing, horse racing medication, lasix, Mid-Atlantic racing, Natalie Voss, New York racing, Santa Anita fatalities, The Stronach Group by Natalie Voss. Bookmark the permalink.